Anderson Marsh State Historic Park will hold a free New Year’s Day hike beginning at noon January 1, 2020 as part of America's State Parks First Day Hikes being held in State Parks in all 50 states. 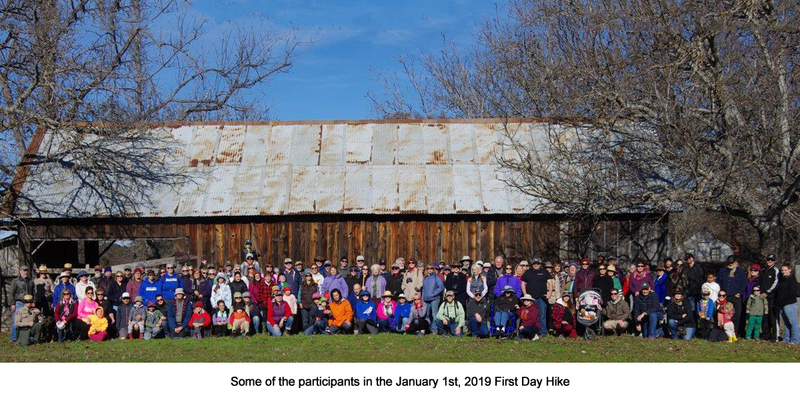 The First Day Hikes offer individuals and families an opportunity to begin the New Year rejuvenating and connecting with the outdoors by taking a healthy hike at a state park close to home. First Day Hikes offer a great way to get outside, exercise, enjoy nature and welcome the New Year with friends and family. Led by volunteer docents, the day will offer a choice of two different routes. One group will take a leisurely walk along the McVicar Trail and back, which leads from the parking lot to the shores of Clear Lake, across from Indian Island. The entire walk is a little less than 8 miles of mainly flat terrain and should take between 3 and 4 hours, depending on how many times we stop to admire what we see along the way. The second group will cover a 3 ½ mile loop that will include parts of the Cache Creek, Marsh and Ridge Trails, passing by a vernal pool near the end. This shorter hike will take between 2 and 2 ½ hrs. Participants on both hikes are welcome to walk part way and make an early return at their own pace. This is a unique opportunity to start the year off right and experience the grasslands, Oak woodlands, willow and cottonwood riparian habitats and the tule marsh habitat of the Anderson Marsh Natural Preserve. Last year’s hike was a huge success, with over 150 people participating. Come and join the fun and start off the year right! Participants should wear sturdy shoes and a hat, and bring water, snacks, and binoculars if they have them. Rain will cancel the walk. Anderson Marsh State Historic Park is located on Hwy 53, between Lower Lake and Clearlake.